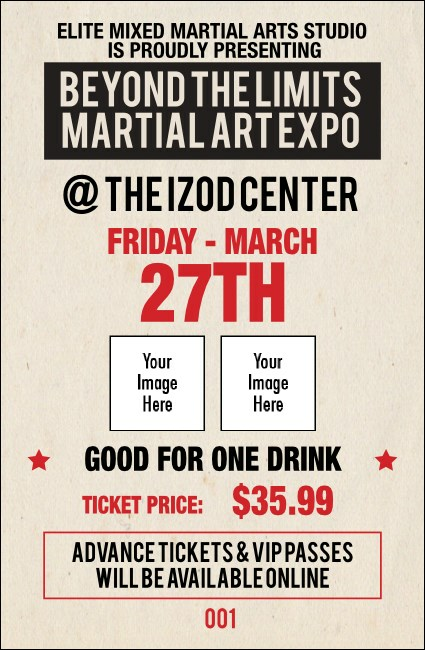 Commission your guests to have a knockout of an evening when you give them MMA Old School Drink Tickets at your next event. With room on the template to upload two unique images on a light background that includes black and red text, and sequential numbering for security, these tickets will definitely help you improve your technique. Throw your competition to the ground with TicketPrinting.com.